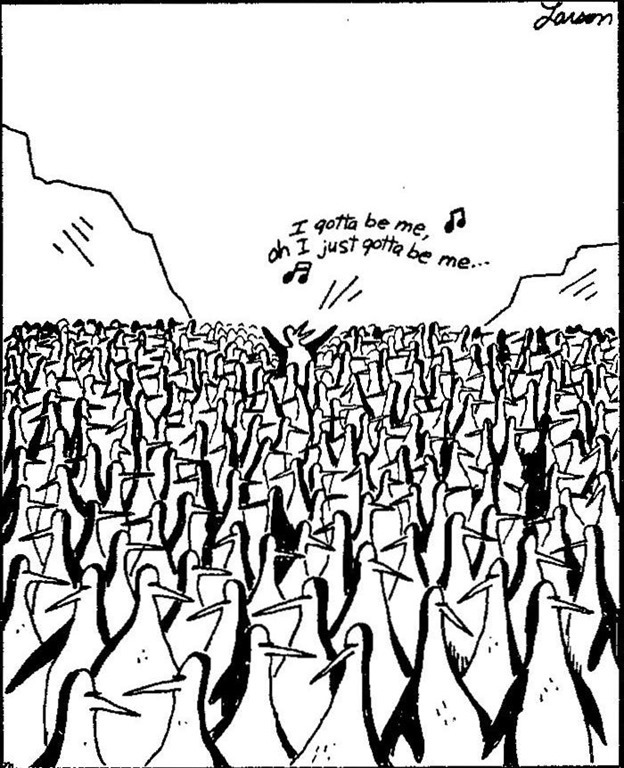 This cartoon by Gary Larson over 20 years ago struck me as funny. There’s a part of me who is this penguin. There’s another part who finds my stance pitiful, because I know that there are thousands, millions of other entities working “in the fields of the Lord” to advance humanity and the evolution of consciousness in the cosmos. Yet it’s the nature of God to motivate humans by giving them an ego, and pride. A third part, which I cultivate, watches it all.